During my first Wilderness Classic, whenever I stumbled out of the alder and onto a game trail, I’d see Roman Dial‘s shoe tread. You get to know all the leaders’ treads during the Classics. Roman’s had little v’s. I’d lose the game trail, take my standard ‘down-is-down’ strategy, eventually find another great game trail and soon see those damned v’s again. I had heard of Roman’s adventures when I was in high school in Anchorage. My style was pretty different… I carried two quarts of liquid milk on my first backpacking trip. One of my graduate school advisors, Peter Kelemen, had a loose connection with Roman and sent him an email on my behalf, likely looking for fieldwork opportunities. I didn’t hear back. When I moved back to Anchorage I emailed Professor Dial in hopes of finding a connection to the Environmental Science department at Alaska Pacific University. He must have been in the field. I did some substitute teaching and at one point I had Cody Roman Dial and Jazz Dial in classes. I mentioned that I had emailed their dad and hadn’t heard back. Hig and Erin, classmates from Carleton, gave a slideshow in Anchorage on their way from Seattle to the end of the Aleutian Peninsula. Hig introduced me to Roman, and… nothing exciting happened. It was kind of like stalking a hot girl for years, finally meeting, and then… I don’t know how to end this analogy. I bought a packraft. I started paddling class II overnighters and the Eagle River bridge-to-bridge after work. After a few years I got into bigger rapids. I can’t remember how we ended up on the same river, but as soon as Roman saw that I had the tenacity to grit through some bigger rapids (in other words, swim everything… but with a grin), everything changed. In the next two weeks Roman took me under his arm and got me on 6 or 7 class IV runs. It was awesome. I bought a cheap waterproof camera so I could document trips like him. Now Roman mentors me at the University. It probably isn’t true, but I tell people he got me the teaching job. He wasn’t on the hiring committee, but he kept reminding me until I applied. I applied because I wanted to teach, but also because I didn’t have unlimited texting and needed to get him off my back. Every now and then I’ll see a packrafting reference to ‘Roman and Luc,’ or overhear an exasperated student talk about taking classes from ‘Roman and Luc.’ Double whammy. I love it. Our offices are next door. He sometimes yells through the wall when I’m working with a student, “Yes, make her do that!” I like to think that when I sidle up he tries to read my face to guess whether I’m going to ask about school, packrafting, or a summer trip. I have a lot of luck in my life, and I’m grateful that my path brought me parallel to Roman’s. Literally. This summer we bought houses 3 blocks apart and share the bike commute to campus. that’s so f’in great! respect! it’s true though, the first time you did make an impression on me was when we went to Eklutna with Louis in June 2009. That made a very strong impression, especially when I heard that you had won the winter classic and planned to do the summer one. 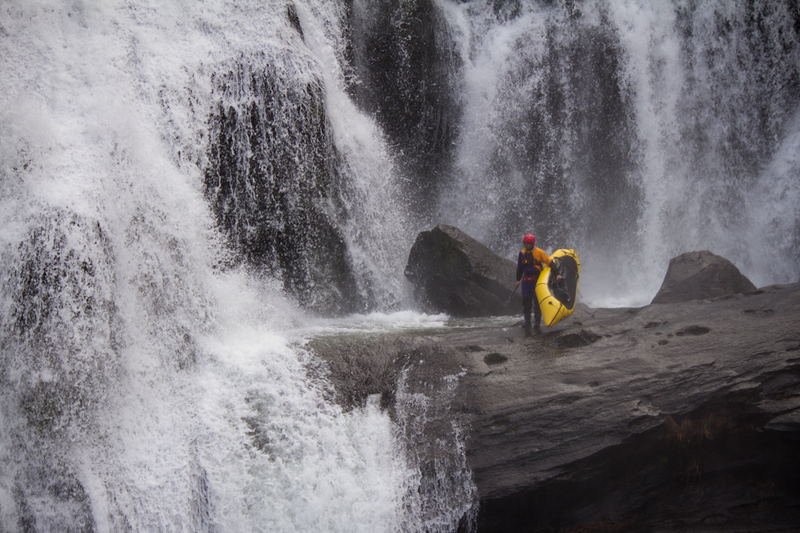 and then the fall after that we got on Bird together when you had that new dry suit and I saw you paddle and then had to have you along on the Talkeetna trip and pretty much every paddling trip thereafter that you’d go on. thanks for posting this. and it is great to have your office next door. This post is sweet, funny, and proves that it’s easier to get a job than to change your phone number. Tea tree oil supposedly does wonders for toenail fungus.